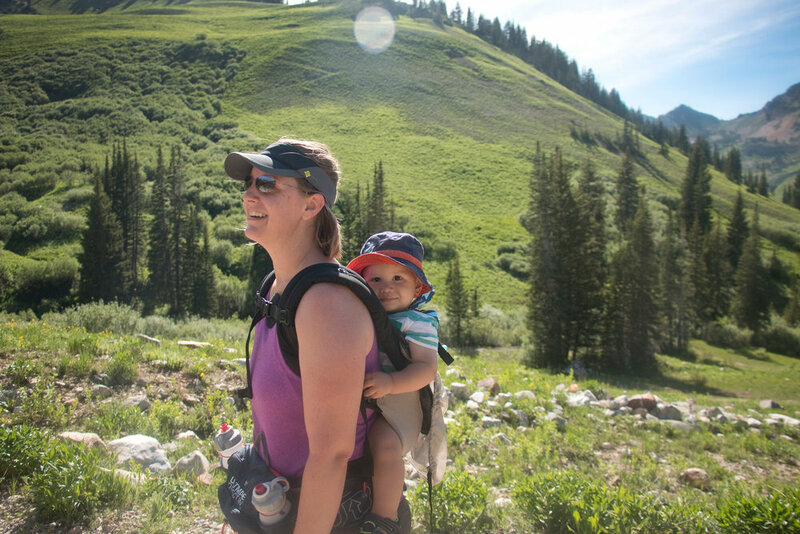 After my youngest son was born in 2014, I finally had the motivation to explore some of the fantastic hiking close to where I live outside of Salt Lake City. With my husband working and my oldest in school during the day, I didn’t want to hike by myself and many of the trails local to us get pretty crowded on weekends. My husband isn’t a huge fan of hiking either, but he comes sometimes when our oldest asks really nicely (or begs). I also have a love for babywearing, so when I saw a post in my local babywearing Facebook group about an organized hike where babywearing was encouraged, I jumped on the chance to join and see what it was all about. And I discovered Hike It Baby. June 2015, Albion Basin, Alta, UT. He was so little!! Hike It Baby was created a couple of years ago by a mama named Shanti in Portland, OR who had the simple desire to get outside after having her son. She didn’t want to hike alone and wasn’t quite ready for jogging or long bike rides and she didn’t want to juggle finding a sitter so she could join a gym. She invited friends to hike with her and word began to spread. Now she inspires and encourages families to get outside and explore with their kids, all over the country. Through social media, families can hike together, make new friends and encourage and support each other. It doesn’t matter if you’re an experienced hiker or a beginner, they all have your back and no hiker is left behind. Local chapters are led by volunteers and, best of all, hiking is usually free! From my first Hike it Baby hike! Bells Canyon, UT. My oldest has the Earth Day shirt and he still proudly wears it. This t-shirt with the moon and mountains was sold during the January 2018 Hike it Baby 30 challenge. There will be new t-shirts for the April, September, and November challenges this year too.